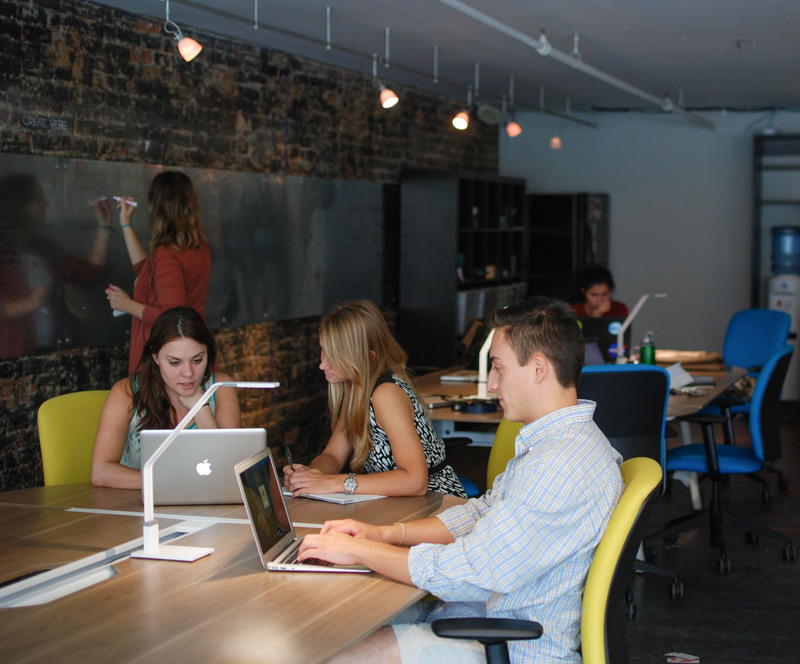 CHATTANOOGA, Tenn. (January 15, 2015) – The Company Lab (CO.LAB) is now seeking applications for its Spring 2015 Accelerator. The program, which surrounds high growth potential startups with mentors and resources to grow, will take place from Jan. 30 to April 30. The deadline for submissions is Jan. 25. Candidates will be accepted into the program on a rolling basis. Prospective participants can apply for the accelerator here. In conjunction with CO.LAB’s relocation to the Chattanooga Innovation Center in April, participants in the Spring 2015 Accelerator will become the first startups to complete the program in Chattanooga’s new Innovation District. Unlike previous iterations of the program, the Spring 2015 Accelerator will not require a participation fee. The CO.LAB Accelerator is a 100-day program for startups focused on scaling out into larger markets. The experience is designed to help these companies transition an initial business concept into a compelling model fundable by other forms of angel or venture capital. Throughout the process, participants work closely with mentors as they prepare to attract the capital and customers required to get their startups off the ground. Though the CO.LAB Accelerator primarily caters to high growth potential startups, companies with non-scalable business models are welcome to apply. Those that have completed the ideation process and progressed to the customer-testing phase of business development are particularly well suited for the program. In addition to receiving mentorship from local business experts and CO.LAB’s Entrepreneur in Residence, participants in the CO.LAB Accelerator also enjoy access to free workspace, office resources and meeting rooms, as well as the opportunity to connect with qualified investors, either in arranged meetings or in a group presentation format. Startups in the Fall 2014 Accelerator include Granola, The Treehouse Project, Temperate, Chattanooga Sports Leagues, The Purple Scarf Project, Rangemark, Go Time, Eduity and Loopies. To learn more about the CO.LAB Accelerator, click here. The Company Lab (CO.LAB) exists to support the startup community and surrounding region through programs, events and services. Operating under the belief that entrepreneurial thinking is the foundation of our community’s future, CO.LAB has devised a system to foster the startup spirit, which can be used as a model for entrepreneurial communities across the nation.